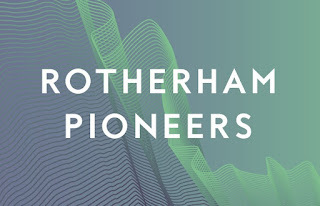 Rotherham College continues to showcase the success stories of former students, highlighting the role models that can act as inspiration for future students. Having invested over £18m in the last four years improving campus facilities, the college describes itself as a "conveyor belt for talent" with the latest case studies of students achieving their career aspirations by enrolling on a course at the college including a student who is changing perceptions of the childcare sector, an example of how changing your mind doesn't mean giving up, and a mature student who landed her dream job as a teacher. Charlie Wright, who recently completed his Child Care and Development Level 2 course at the College, had been volunteering at East Dene Primary School prior to starting his course. He was inspired to become a teaching assistant and opted to develop his skills at Rotherham College. 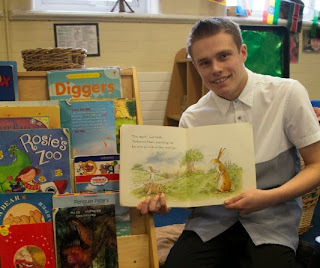 After completed his course in 2014, Charlie is now a teaching assistant at East Dene Primary School. He urges anyone thinking about a career in childcare, especially males, to "go for it," saying: "currently, there are not enough males in childcare and it's vital to get more working in the sector. "It's extremely important for children to have male role models in any childcare setting, especially as many children don't have fathers or male role models in their lives. "Don't be put off by the stigma that child care is a female-oriented industry. The rewards you reap from being a male in this environment are huge." Helen Andrzejowska initially attended Rotherham College to study the National Diploma in Art and Design and after completing the course she attended Sheffield Hallam University to study fine art. After a couple of months on her degree course she realised that it wasn't for her and thought that her only option was to go into employment. She returned to her job in retail but felt that she never really fulfilled her full potential. After considering her options, she opted to return to education and study Media, Animation and Games at Rotherham College. 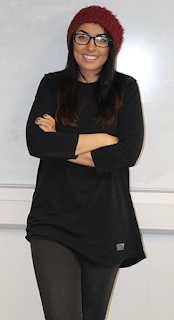 Helen has progressed to Huddersfield University to study BA Hons in Game Design. She has opted to do a sandwich course which allows her to gain work experience after her second year of her degree. Helen said: "My course at Rotherham College really prepared me for my university course; I think I would have dropped out by now if I hadn't done it. "Some of the other students on my course who joined after doing Art or IT A-Levels have found it more difficult because they didn't do a specialised college course." After ten years of working in the retail sector and starting a family, Kirsty Lewin returned to education to study Media Make-up. She is now in the second year of her Certificate in Education at Rotherham College and is currently teaching students on the Media Make-up Level 2 qualification. Kirsty said: "The media make-up programme is broken up into bite size chunks so it wasn't hard to get back into education and be able to manage my workload. As a mature student, it's the best thing I've ever done. If you're unsure, go for it. Do it before it's too late, otherwise you'll regret it."